Today's project is made by Stampin' Up! 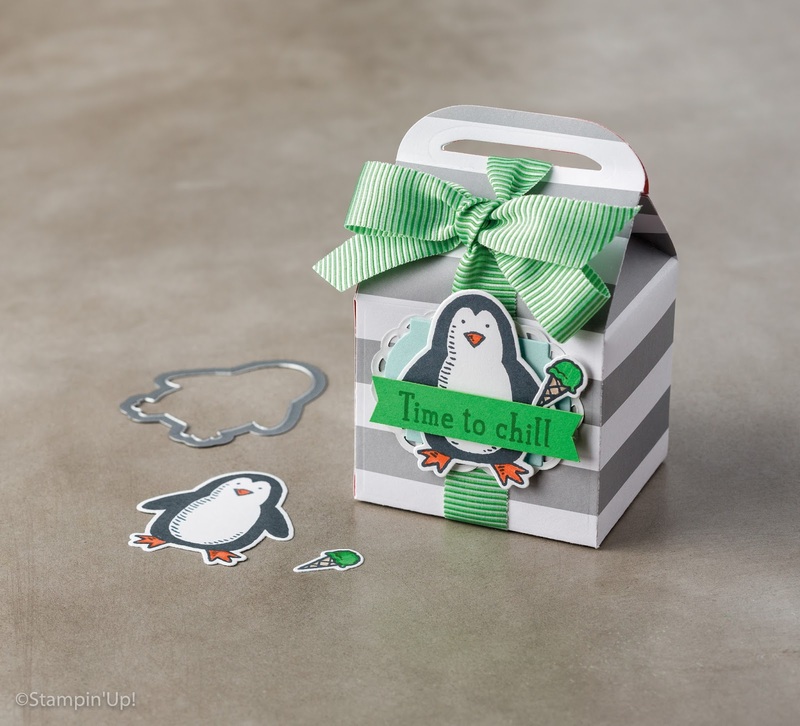 and is a beautifully decorated box - the box itself has been made using the Baker's Box Thinlits Dies for the Big Shot die-cutting machine, which we also sell at Stampin' Up! 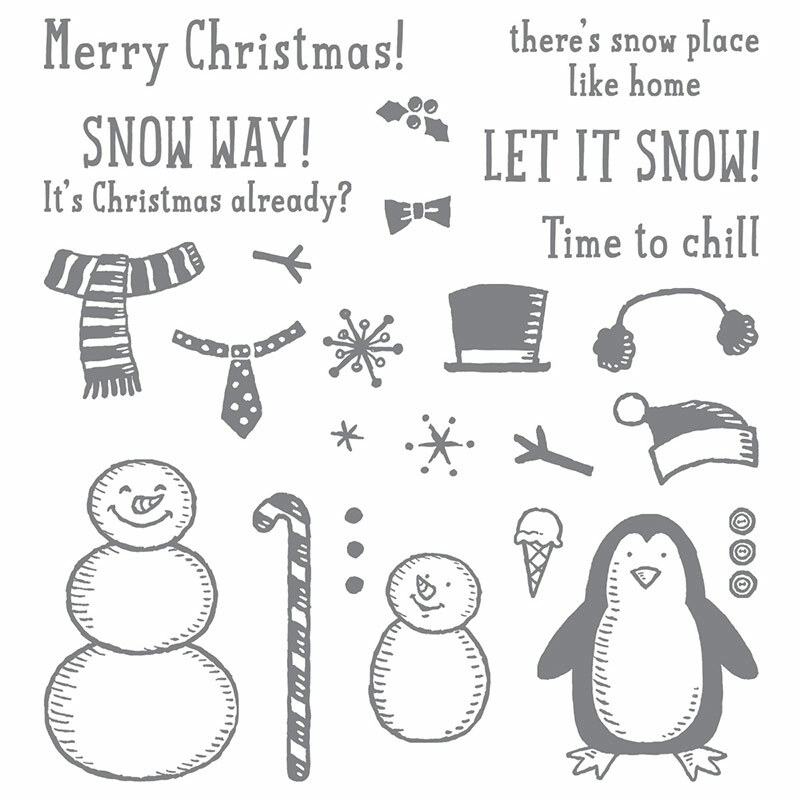 The penguin is from the gorgeous Snow Place stamp set and has been cut out using the Snow Friends Framelits Dies using the Big Shot. 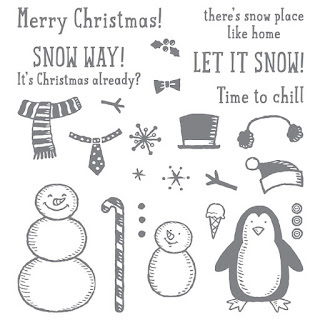 As you can see the Snow Place stamp set is fairly Christmassy but you can use it in a way that doesn't look Christmassy at all, like the project above. The project has been finished off using the Metallic Foil Doilies (you can see the back) and some Mini Striped Ribbon in Cucumber Crush. I really hope you like this project, so much fun! If you click on the names of the products you can view them in the Official Stampin' Up! Store - please feel free to drop me an email if you need any assistance.